Japan’s top messaging app wants to float at a $5.5 bln valuation, down from $10 bln in 2014. Line has specific issues like slowing user growth. But its big problem is only a small minority of users will pay for services. That could affect Facebook and Tencent’s chat apps too. Line Corp, which operates Japan’s most popular messaging app, said on June 10 that it plans to list shares in Tokyo and New York in July through an initial public offering that would value the company at 588 billion yen ($5.5 billion). 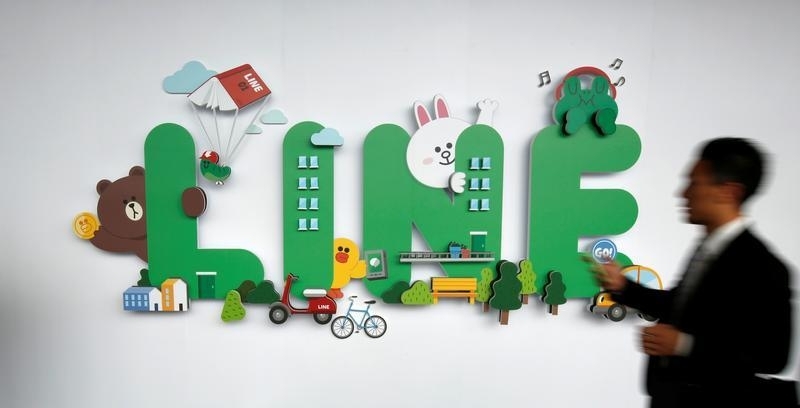 Line will raise up to 112.7 billion yen, making the IPO Japan’s biggest of the year. The company plans to sell 13 million shares in Japan and 22 million abroad at an indicative price range of 2,800 yen each, according to filings. South Korean Naver, Line’s parent, will offer up to 5.25 million existing shares in the event of strong demand. The company first applied for an initial public offering in Tokyo in 2014 at a valuation of over 1 trillion yen, Reuters reported at the time, citing a person familiar with the deal. Shares of Naver were down 3.9 percent to 692,000 won ($590.14) by late morning in Seoul on June 13.